We’ve been hearing rumors of a Moto X4 (aka Moto X 2017) for a long time now, but today a new source has emerged, with information that’s at odds with some of what we’ve heard before. Speaking to VentureBeat, a “person with knowledge of the company's plans” said the Moto X4 will have a 5.2-inch 1080p screen, an aluminum shell, an octa-core Snapdragon 630 chipset with all eight cores running at 2.2GHz, 4GB of RAM and a 3,000mAh battery. The camera will apparently be a dual-lens one, with an 8MP and 12MP pairing on the back, and a single 16MP snapper on the front. They don’t say what tricks the dual lenses will be capable of though. Other specs supposedly include 64GB of storage, a microSD card slot, IP68 protection from dust and water (the same standard of protection as flagships like the Samsung Galaxy S8 offer), and Android 7.1 Nougat. 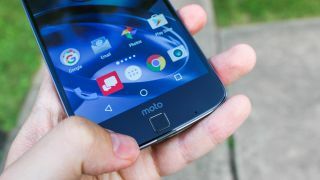 Finally, the Moto X4 is said to have a front-facing fingerprint scanner which also supports gestures, and to be the first non-Google-branded handset able to run on Google’s Project Fi mobile network. All in all, the Moto X4 sounds from this to be packing upper mid-range but not quite top-end specs, which makes sense, since the Moto Z line is where the company’s best specs will be found. However, this latest leak is a step down from some previous things we’d heard, such as a Snapdragon 660 chipset and a 3,800mAh battery. It’s too early to say which – if either – is right, but we should see the Moto X4 this year, and according to this latest leak it will land in the fourth quarter, in time for holiday shopping. The flagship Moto Z2 could be coming soon as well.